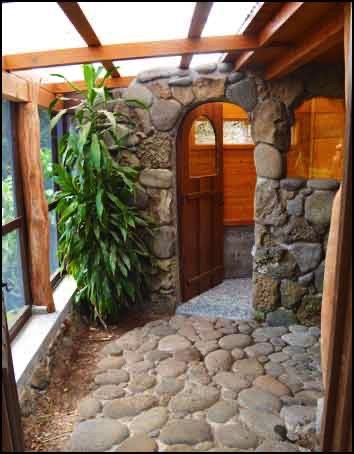 Each Hale (pronounced HA-lay, house in Hawaiian) Suite includes a Sleeping Room and three out-buildings: the Kitchen Hale, the Restroom Hale, which houses a toilet and sink; and the Shower Hale, which features a one-of-a-kind, volcanic rock shower with views of the lush, tropical vegetation outside. 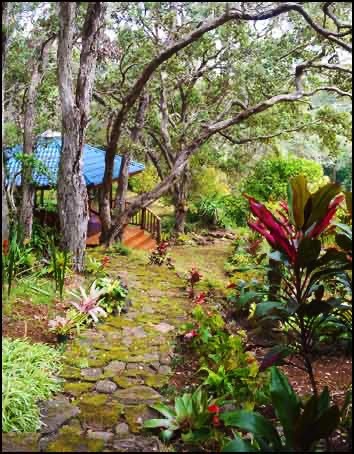 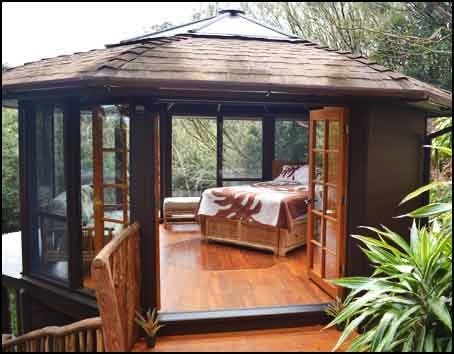 Features an octagon-shaped sleeping house with native ohi’a log posts, stunning stained-glass doors, floor-to-ceiling windows to take in the views of the forest, and hardwood floors. 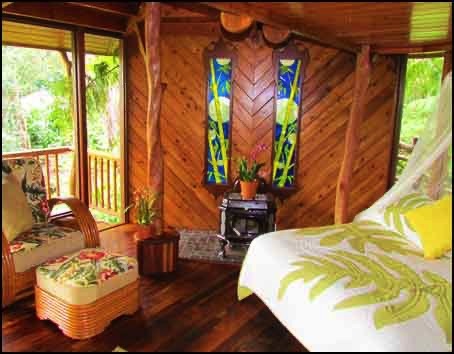 This room includes a full-sized bed and a small loft reachable by ladder. 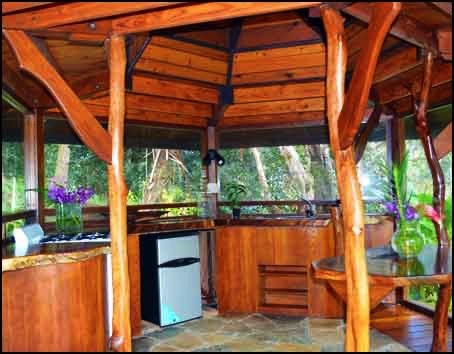 A covered, open-air kitchen complete with a sink, propane-powered range, mini refrigerator, basic cooking and eating utensils, and an eating area. 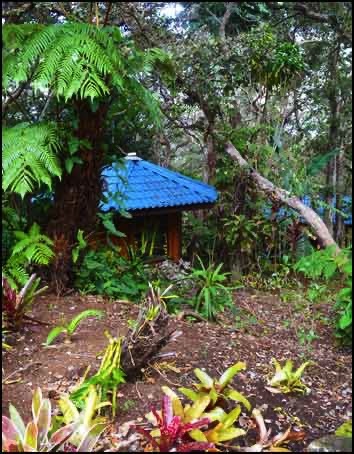 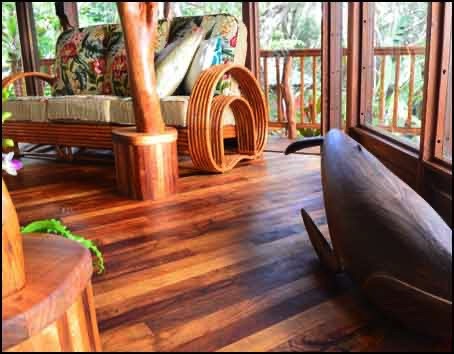 Features beautifully-crafted lava-rock walls and floor, native ohi’a log posts, and a shell sink, as well as windows that look onto the lush tropical vegetation. 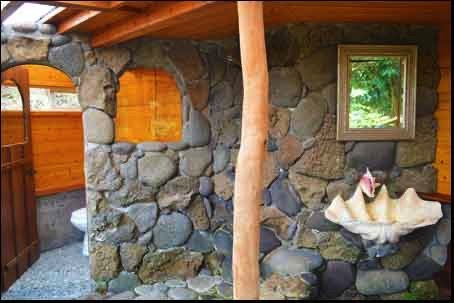 A small building with a toilet and sink, and stained-glass windows.